Onell Valentin, 18, 154 Kensington Ave., New Britain, was charged on Jan. 31 with second-degree assault, two counts of first-degree reckless endangerment, interfere with officer/resisting, three counts of third-degree larceny, three counts of reckless driving, evading responsibility-physical injury, engaging police in persuit and assault on a public safety officer. Kevin Jose Hairston, 25, 782 Broad St., Meriden, was charged on Jan. 31 with first-degree failure to appear. Joshua Morales-Lucca, 26, 141 Broad St., Apt. 1w, New Britain, was charged on Jan. 31 with disorderly conduct and interfere with officer/resisting. Albert Homar, 58, 76 Sharon St., Bristol, was charged on Jan. 31 with violation of protective order. Angel Ramos, 34, 286 Burritt St., Apt. 2-N, New Britain, was charged on Feb. 1 with second-degree failure to appear. Jose J. Leon, 36, 106 Beaver St., New Britain, was charged on Feb. 1 with second-degree failure to appear. Carlos R. Pimentel, 31, 695 Talcottville Road, Apt. 39A, Vernon, was charged on Feb. 1 with disorderly conduct. Yvonne Gonzalez, 32, 112 Willow St., New Britain, was charged on Feb. 1 with second-degree failure to appear. Chritsopher Mabry, 46, homeless, Hartford, was charged on Feb. 1 with failure to respond to infraction-payable violation and sixth-degree larceny. Nataly Yesenia Gonzalez-Bruno, 29, 112 Willow St., Apt. 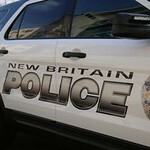 2, New Britain, was charged on Feb. 1 with disorderly conduct and third-degree assault. Yvonne Gonzalez, 32, 112 Willow St., New Britain, was charged on Feb. 1 with disorderly conduct and third-degree assault. Posted in New Britain Herald, New Britain on Wednesday, 6 February 2019 20:31. Updated: Wednesday, 6 February 2019 20:33.